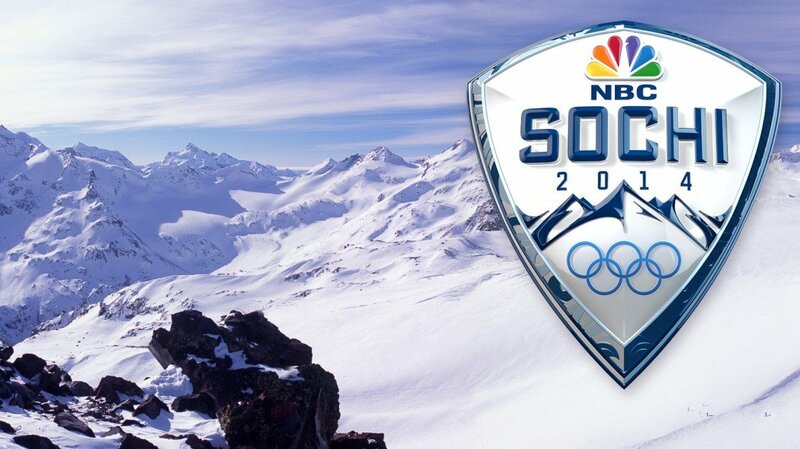 Home Tags Posts tagged with "winter olympic games"
Medals to be won today: Bobsleigh (four-man), cross country skiing (men’s mass start), ice hockey (men’s gold). 07:00 Cross country skiing – men’s mass start. 09:30 Bobsleigh – four-man third and fourth heats. 12:00 Ice hockey – men’s final. 16:00 Closing ceremony. The last action of the Sochi Olympic Games features speeches, the lowering of the Olympic flag and a ceremonial handing-over to Pyeongchang, South Korea, which will host the next Winter Games in 2018. 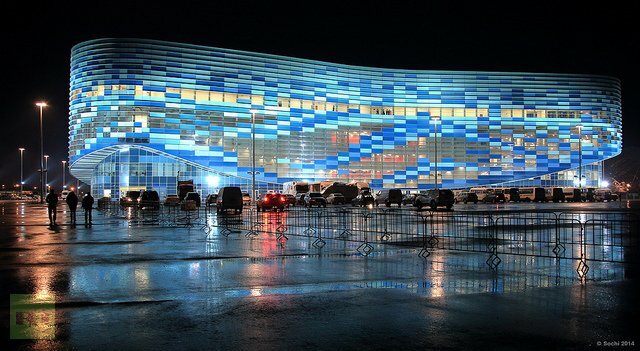 However, Sochi’s Games are by no means over – the Winter Paralympics begin on March 7 and run until March 16. Medals to be won today: Alpine skiing (men’s slalom), biathlon (men’s relay), cross country skiing (women’s mass start), ice hockey (men’s bronze), snowboard (parallel slalom), speed skating (team pursuit). 05:15 Snowboard – parallel slalom. 12:45 Alpine skiing – men’s slalom. 13:30 Speed skating – team pursuit. Seven medals to be won today: Alpine skiing (women’s slalom), biathlon (women’s relay), curling (men), freestyle skiing (women’s ski cross), short track speed skating (women’s 1,000m, men’s 500m, men’s relay). 12:45 Alpine skiing – women’s slalom. 13:30 Curling – men’s final. 16:30 Short track – women’s 1,000 m final. Also: Ice hockey (men’s semi-finals USA v Canada and Sweden v Finland), speed skating (team pursuit knockout stages). Medals to be won today: Alpine skiing (women’s super-G), cross country skiing (women’s relay), short track speed skating (women’s 1,500m, men’s 1,000m), skeleton (men), ski jump (men’s large hill), speed skating (men’s 1,500m). 10:00 Short track – women’s 1500m, men’s 1,000m. 12:30 Ice hockey – men’s group game, US vs. Russia. 14:45 Skeleton – men’s third and fourth heats. 17:30 Ski jump – men’s large hill. Medals to be won today: Alpine skiing (men’s super combined), biathlon (women’s individual), cross country skiing (men’s classic), figure skating (men), freestyle skiing (women’s aerials), skeleton (women). 06:00 Alpine skiing – men’s super combined. 10:00 Curling – group stage. 15:00 Figure skating – men’s free skate. 15:40 Skeleton – women’s third and fourth heats. Also: Ice hockey group games, ski jump (men’s large hill qualifying). Medals to be won today: Biathlon (men’s individual), cross country skiing (women’s classic), freestyle skiing (men’s slopestyle), luge (team relay), short track speed skating (women’s 500m), speed skating (women’s 1,000m). 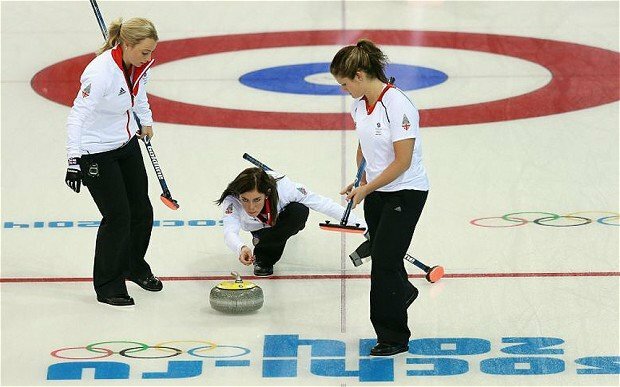 05:00 Curling – group games. 06:15 Freestyle skiing – men’s slopestyle. 07:30 Skeleton – women’s first and second heats. 12:30 Ice hockey – men’s group games. 16:15 Luge – team relay. Also: figure skating (men’s short program). Medals won today: Alpine skiing (women’s downhill), figure skating (pairs), luge (doubles), Nordic combined (normal hill), snowboard (women’s halfpipe), speed skating (men’s 1,000m). 07:00 Alpine skiing – women’s downhill. 09:30 Nordic combined – men’s normal hill. 15:45 Figure skating – pairs free skate. Medals won today: Alpine skiing (women’s super combined), biathlon (men’s pursuit), freestyle skiing (men’s moguls), short track speed skating (men’s 1500m), speed skating (men’s 500m). 05:00 Curling – GB men v Russia. 10:00 GB women v Sweden. 15:00 GB men v Sweden. 07:00 Alpine skiing – women’s super combined. 09:45 Short track – men’s 1500m. 14:00 Freestyle skiing – men’s moguls. Also: Ice hockey (women’s group games), luge (women’s singles first and second run). Eight medals won today: Alpine skiing (men’s downhill), biathlon (women’s sprint), cross country skiing (men’s skiathlon), figure skating (team event), luge (men’s singles), ski jump (men’s normal hill), snowboard (women’s slopestyle), speed skating (women’s 3,000m). 07:00 Alpine skiing – men’s downhill. 06:25 and 09:15 Snowboard – women’s slopestyle. 14:30 Luge – men’s singles. 15:00 Figure skating – team event. Also: Ice hockey (women’s group games). 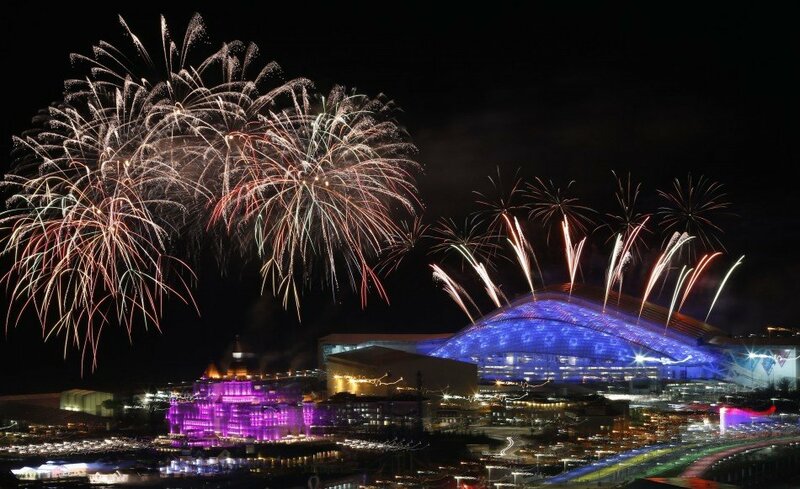 Sochi has opened the 22nd Winter Olympics with a spectacular ceremony. More than 2,900 athletes from 87 nations paraded before 40,000 people in the Fisht Stadium before President Vladimir Putin declared the Games open. The Olympic flame was lit by Russian former triple gold medalists Vladislav Tretiak and Irina Rodnina as fireworks illuminated the night sky. 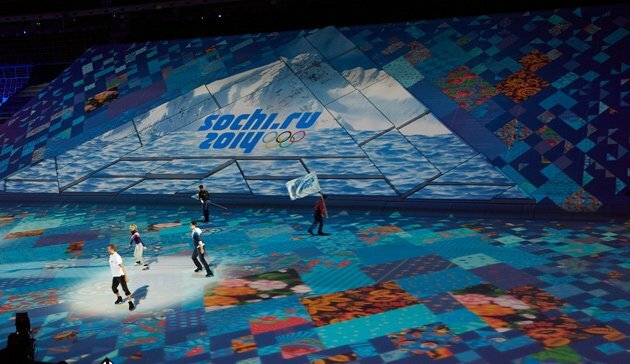 At a cost of $50 billion, the Sochi Games is the most expensive Olympics in history. International Olympic Committee president Thomas Bach used his welcome speech at the ceremony to promote Olympic values of diversity and non-discrimination. “The Olympics are about building bridges to bring people together,” Thomas Bach said. President Barack Obama and UK’s PM David Cameron stayed away from the ceremony, which was attended by 44 heads of state. Vladimir Putin avoided making a political statement as he stuck to protocol by using a single sentence to declare the Games open. Spectators inside the stadium and television viewers worldwide were treated to a glittering show lasting nearly three hours and featuring 22 tonnes of fireworks. It was carried out of the arena by former figure skater Irina Rodnina and ice hockey player Vladislav Tretiak, who lit the cauldron in the middle of the Olympic park while Igor Stravinksy’s Firebird Suite filled the stadium. In a break from Olympic tradition, the teams had earlier entered in the order of the Russian alphabet, with the host nation coming in last to deafening cheers. Athletes from the competing nations appeared to emerge from their country’s map courtesy of a dazzling light show. While some nations – including Nepal, Mexico and Pakistan – are sending only one competitor, the US team of 230 athletes is the largest in the history of the Winter Games. The US have never appeared at an Olympics on Russian soil having boycotted the Moscow summer Games in 1980. 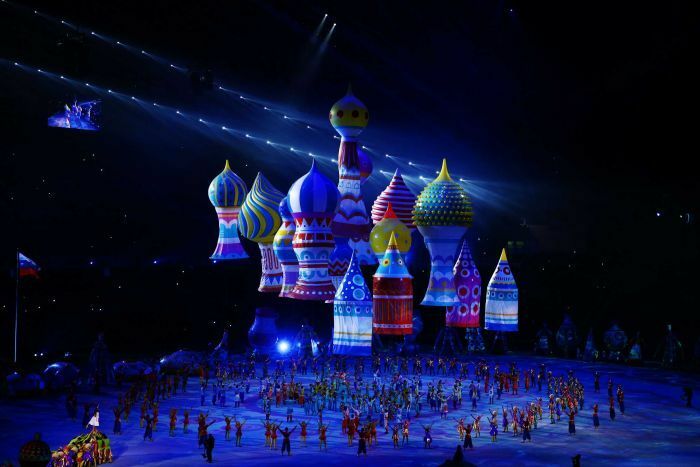 The ceremony featured a colorful journey through Russian history, celebrating the country’s rich heritage in art, music and ballet, with 3,000 performers and 2,000 volunteers taking part. In a moving sequence the lights were lowered as performers, dressed in white to symbolize peace, danced to the strains of Pyotr Ilyich Tchaikovsky. Hosting an Olympics for the first time since 1980, Russian athletes are under pressure to improve on the embarrassment of 11th place at the last Winter Games in Vancouver. Russia has devoted $940 million to elite winter sport since winning the bid to host these Games seven years ago. 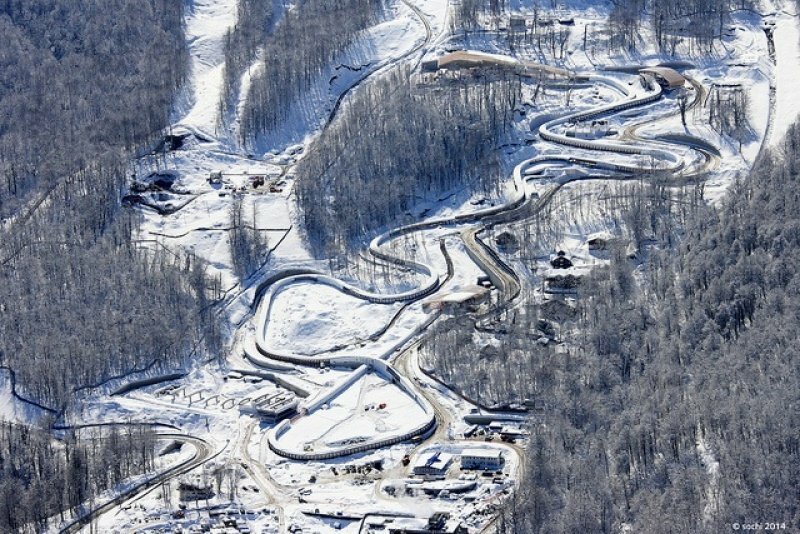 The first medals of the Games will be decided on Saturday with five golds up for grabs in biathlon, cross country skiing, freestyle skiing, snowboarding and speed skating. 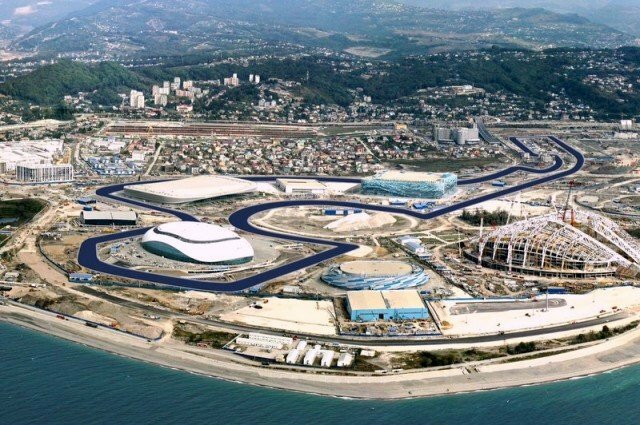 Russia has decided to set up a special zone for protest rallies at the Sochi Winter Olympics, where security will be tight. A special security regime will be in place in and around the southern city from January 7 until March 21. The Russian authorities announced last year that a ban on rallies would be imposed in the Games area. 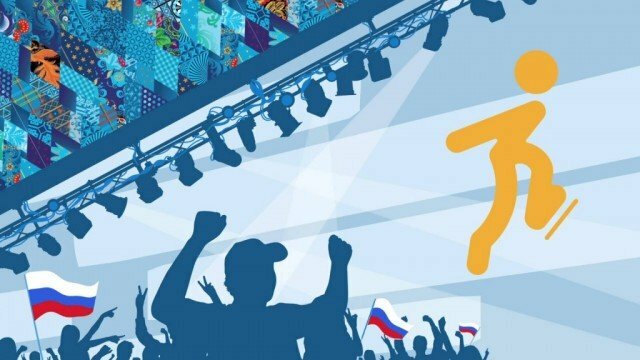 “The president has issued an instruction to the organizers of the Olympic Games, together with the leadership of Krasnodar Territory and the Sochi mayor’s office, to select a venue in the city where rallies, demonstrations and other events, including, if necessary, protests, could be freely held,” Dmitry Peskov said. Two suicide bomb attacks killed 34 people in the southern city of Volgograd on December 29 and 30. Russian investigators say the perpetrators are believed to be two men who arrived in the city from the restive North Caucasus region. Switzerland has decided to block a deal to sell ski lifts to North Korea in the latest setback for leader Kim Jong-un’s pet ski resort project. The Swiss government cited expanded sanctions on luxury exports to North Korea. Heavy rains and landslides have already delayed the project, viewed as a response to South Korea hosting the 2018 Winter Olympic Games. 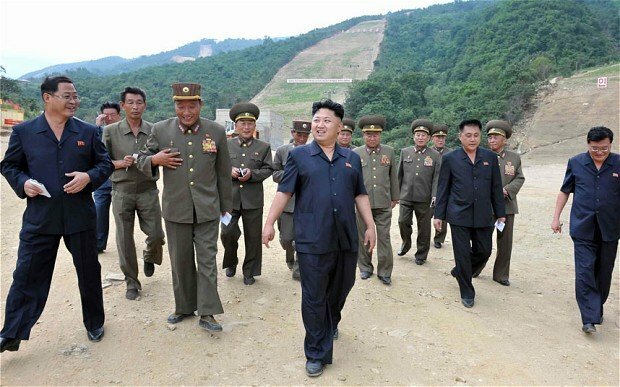 Kim Jong-un has ordered the army to complete the resort by year’s end. 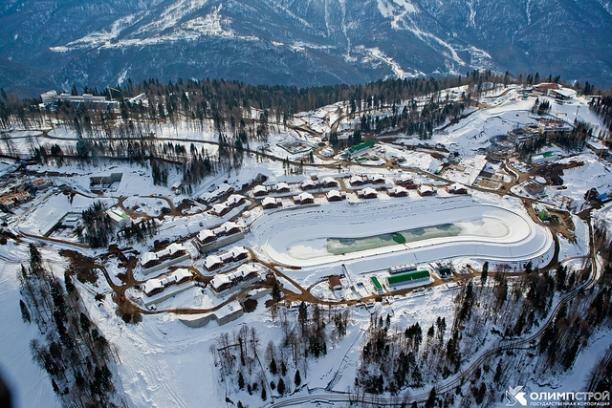 The North Korean leader has repeatedly visited the Masik ski resort site and promoted it as an attempt to enhance the lifestyle of the nation’s citizens. But Switzerland’s State Secretariat for Economic Affairs (Seco) labelled the resort a “prestigious propaganda project for the regime”. “It is inconceivable that this resort will be used by the general public,” Seco spokeswoman Marie Avet said. It is thought Kim Jong-un learned to ski in Bern, where he attended secondary school without revealing his true identity. The ski lift deal with Swiss company Bartholet Maschinenbau, valued at more than $7 million, is reportedly the third to fall through due to sanctions. Austrian and French manufacturers also turned down deals, citing political reasons.